Whenever you’re thinking about starting your own website it’s a good idea to take a look at the people who have gone before you and what they’ve done. You really never know when you’ll pick up some great ideas from some of the top sites. Square is a site that advertises mobile e-commerce solutions. Basically you can get a free card reader to attach to your phone, and pay a fee per transaction, or a monthly fee to have the site handle all of your mobile sales for you. It turns you into a one man store. The site for Square is a study in minimalism. It’s frequently voted one of the best sites of the last year because it’s so bright, clean and minimalistic. These are traits that you would really expect to see with something like a card reader site, because people really want simplicity more than anything else. The entire point is to make your life easier, and for the service to be as simple and hassle free as possible for all parties involved. As a result, having a site with a clear and simple design and a lot of white space will communicate this to viewers well. Form follows function. This site has some beautiful aspects to it. For one thing it has textures, and multiple levels, which gives the illusion that the screen is in three dimensions. And more than that, when you move your mouse cursor up, down, left or right and so on in the screen, the scene changes. The figures carrying balloons move accordingly, and the balloons move up and down in even when you aren’t moving things around. You get the sense that you’re flying above the clouds. The site is a way to show off the skills of the creators, and it certainly does that in spades. When you click through the site, illustrated scenes change, figures on umbrellas fly about. This is a site that’s meant to impress people in multiple ways by having an animated and illustrated feel to it. It’s a good way to combine style and function to impress. The idea is, if you have the skills you should use them, since expression can go a long way. This site is also very minimalistic, while at the same time having bold lines. There’s just a few simple pictures of coffee beans and so on at the top, with easy to read white text over it, and an off-white background to create plenty of whitespace for to the reader to live in. The site has a paper texture to it, and it’s airy enough that it helps imply the ecological message. This is a useful thing to learn in general, that you have to start with what the main message of your site will be. You really have to know that first before you get into anything else. Once you have some ideas about that down, you can then start to think about how to emphasize that message both in straight forward words on the page, but also through how the page is designed. But overall, probably the best approach is to use something like 1&1 website creator, or one of the many options that are similar to it. They will just make your job easier. 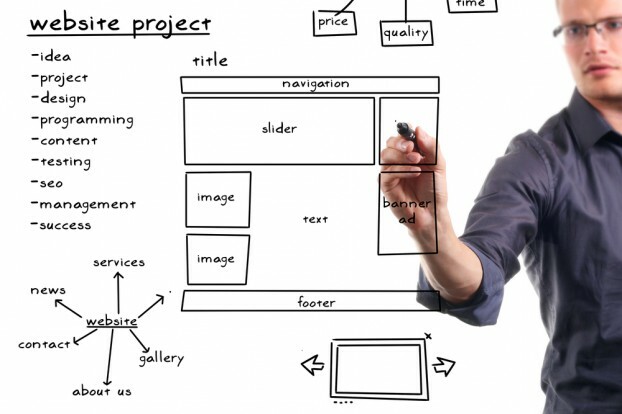 After all, it’s difficult to design a site from scratch. It’s much easier to follow templates and guides from a site that’s been through all of this before and knows how to show you what you want and then let you design it.